The Cape Cod Baseball League community has been honored in more ways than one this offseason. The CCBL Hall of Fame inducted 8 new members in the 2019 class in December. The Red Sox carried seven Cape League alumni on their World Series roster, including three awarded last night at the Boston Baseball Writers Association Dinner. 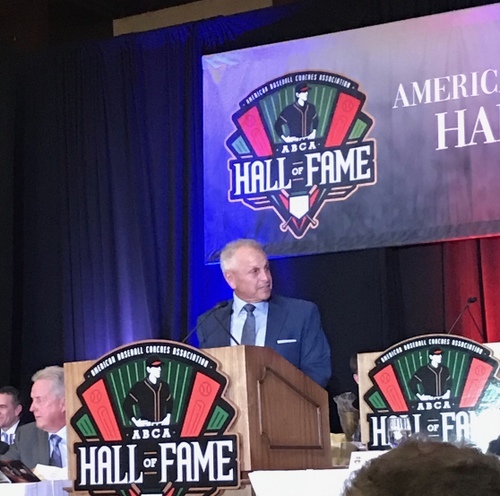 And the legendary head coach of the Y-D Red Sox, Scott Pickler, was inducted into the American Baseball Coaches Association Hall of Fame. 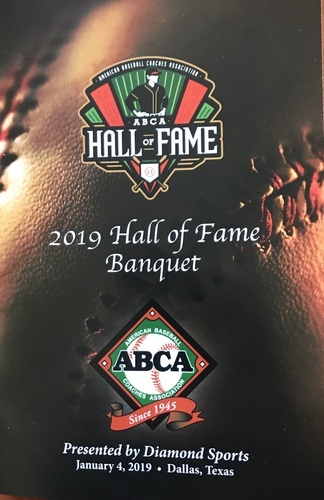 The American Baseball Coaches Association (ABCA), founded in 1945, is the primary professional organization for baseball coaches at the amateur level. Its over 10,000 members represent all 50 states and 25 countries. Since its initial meeting of 27 college baseball coaches in June 1945, Association membership has broadened to include eight divisions: NCAA Division I, II and III, NAIA, NJCAA, Pacific Association Division, High School and Youth. There is no question that Scott Pickler has earned his spot in the ABCA HOF. In addition to his impressive coaching career at Cypress College and with USA Baseball, Pickler has spent the last 18 seasons as a coach in our very own Cape League, where he's led the Yarmouth-Dennis Red Sox to five Cape Cod League championships (and counting). Over 70 of Pickler's Cape League players have moved on to the Major Leagues. Coach Pickler will be entering his 19th season with the Y-D Red Sox this summer.